This very rare Paris Mon Oeil viewer (French for 'My Eye') was commissioned in 1992 by the Reunion Des Musees Nationaux in Paris, France and was designed by 'Design 100'. 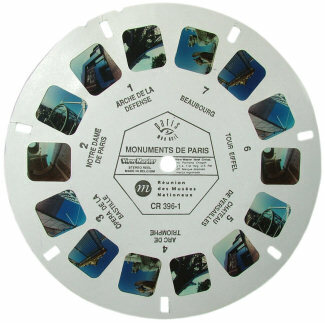 It comes with a specially commissioned reel entitled, "Monuments De Paris", reel CR 396-1 (there were 4 reels in total. 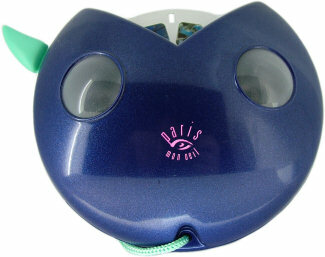 The front of the viewer is reminiscent of a cat's face. It's colour is slightly more purple than shown in the photograph. The quality of the viewer leaves a lot to be desired as the turning mechanism is temperamental, but this viewer is all about style... and what style!